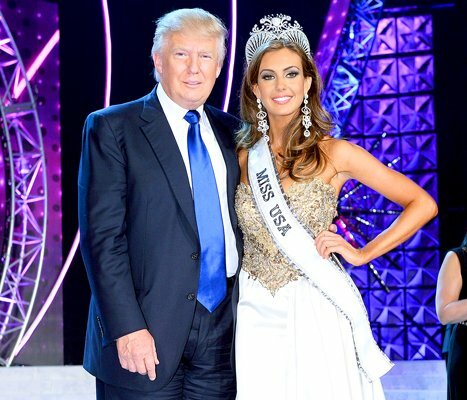 Univision has announced that it is cutting ties with Donald Trump and ending coverage of the Miss USA beauty pageant, which he co-owns. The US Spanish-language broadcaster said it follows Donald Trump’s disparaging remarks made about Mexicans. Donald Trump said Mexicans brought drugs and crime to the US, during his announcement last week to seek the Republican presidential nomination. The businessman is now threatening a lawsuit. In announcing the breakup, Univision said that his words were “insulting remarks about Mexican immigrants” and said it would not air the Miss USA pageant on July 12. The company also said it would be severing all business ties with the celebrity businessman. Donald Trump has said his remarks were a criticism of US lawmakers, not the Mexican people or their government. He has also said that if Univision follows through with its decision it would be in breach of a contract that “has no termination rights”. “We intend to pursue all legal rights and remedies available to Mr. Trump pursuant to the terms of the license agreement as well as a defamation case against Univision,” lawyer Michael Cohen said. Donald Trump also accused the Mexican government of pressuring the network into “laying down”. “They want to silence Donald Trump. And Donald Trump can’t be silenced,” he said in reference to himself. “Of course I have a signed contract: five years, they have to pay me almost $15 million,” he said in an interview with the Fox News television network. Univision has not commented on these remarks. While NBC has the primary broadcast rights to the spectacle, Univision was – for the first time – going to simultaneously air the event in Spanish. Colombian singer J. Balvin was set to give a performance that would air on both broadcasts, but has withdrawn from the event. NBC plans to air Miss USA Pageant despite Univision pulling out.